The Holland America Line N.V. is excited to announce the information for you this Holland America Line Come Sail O-Way Sweepstakes so interested candidates entering to enhance your chance of winning a cruise to the Caribbean or Mexico. Click on the Sweepstake page to enter. Follow the rules of Sweepstake. Submit your entry before Sweepstake last date. We are going to share latest information about the Holland America Line Come Sail O-Way Sweepstakes which is operated by the Holland America Line N.V. So, entrants drop entries in order to enter at its sailowaysweeps.com page through following the all given terms and conditions to win a cruise to the Caribbean or Mexico. Eligibility: Sweepstakes open only to legal residents of the United States, the District of Columbia, and Canada who have reached 21 years of age or older as of the date of entry. Duration : Sweepstakes begins at 12:00 A.M. PT on December 1, 2018 and ends at 11:59 P.M. PT on February 17, 2019. Prize (s): a cruise to the Caribbean or Mexico. 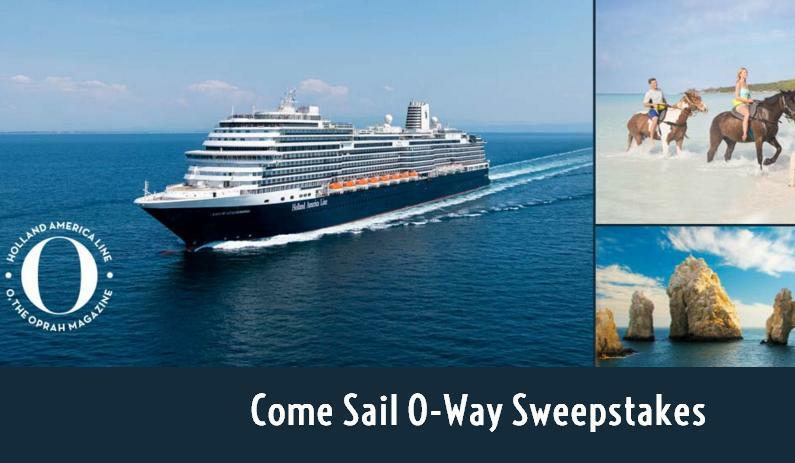 If want to get more information regarding this Holland America Line Come Sail O-Way Sweepstakes please click above mention link, and participate to win prizes.